The Bonanza Valley Voice newspaper is a weekly publication printed and released on Wednesdays and sent to rural customers on Thursdays located in central Minnesota in the community of Brooten. Our newspaper proudly serves a number of area towns including, but not limited to: Brooten, Elrosa, Belgrade, Grove Lake, Padua, Sedan, Sunburg, Regal, Terrace, Georgeville and the Norway Lake area. Also prominent across our pages is full-time coverage of the Belgrade-Brooten-Elrosa school district, the school's Fine Arts programs and its varsity athletic teams. Highlighted in our pages are stories rich with information on local families, townspeople, businesses and events in the Bonanza Valley area taking place every week of the year. Circulation is currently over 1,580 copies per week, mostly through paid subscriptions. As of now (November 1, 2018) we have over 1,525 paid subscribers who enjoy the Bonanza Valley Voice each week. 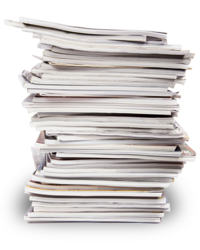 When the publisher purchased the newspaper in January 2015, circulation was at around 680 copies per week. Today, we are far and away the largest newspaper in our price range in central Minnesota. Subscription prices are as follows: $20 for local subscribers who live in Swift, Kandiyohi, Stearns or Pope counties. For local residents who move south for the winter and change their address to a southern state, the cost is $24 a year for a subscription. For anyone living outside of those four counties, the subscription price is $24 a year. We rely on news tips and story ideas from the public. If you have such a thing to offer, please e-mail the publisher at bonanzavalvoice@tds.net.